Before you start business process modeling, you usually have to discuss with your customers about their needs and to familiarize yourself with their company's operations as well as their problems. During the meeting you can collect useful information from customers, including the conversation log and documents. 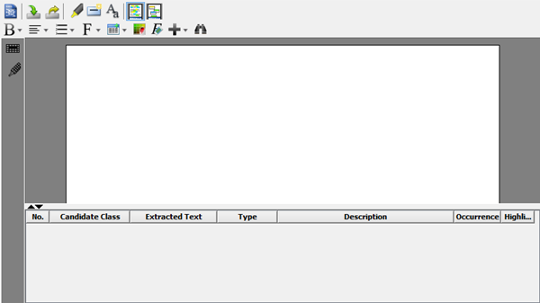 You can make use of textual analysis, a text-based editor to help recording those textual information. In addition to a plain text editor, you can identify important terms or objects (e.g. class, use case) from the problem description. Set the highlighted text to bold. 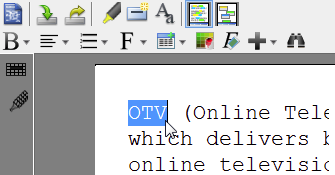 Set the highlighted text to italic. Set the alignment of highlighted text to the left. Select the background color of highlighted text. Add Model Element... Insert an existing model element or create a new one.